As the Khalifatullah of this era, I am telling you again and again that in our present times, Allah has not neglected this world. He has established the Jamaat Ul Sahih Al Islam and He is the one to have sent a man from among yourselves, that is, this humble servant (of Allah) who is present before you, who sits among you, talk with you and you are indeed fortunate that you are living in such a era where the divine grace is pouring down from the heavens like rain falls in the times of drought. I tell all those who have believed in me, you are surely very blessed to be living in the times of a prophet of Allah. Therefore, pray a lot and establish brotherhood and recite a lot the Darood Shareef which is an excellent means to acquire (and strengthen) brotherhood. Do not do all this by routine. Take into consideration the great deeds which our beloved prophet Hazrat Muhammad (pbuh) has taught us and you shall receive the delicious fruits of the realisation of your supplications (duas). Consider the example of the battle of Uhud, after the partial defeat of the Muslims just because of the disobedience which some Muslims showed against the orders of the Holy Prophet Hazrat Muhammad (pbuh). Hazrat Muhammad (pbuh) placed them in a place on a hill and told them come what may not to move from there, but when they perceived that the enemies were not coming their way to attack (thinking that they were moving away in defeat), they thought the orders of the Holy Prophet (pbuh) were now irrelevant. Therefore, they abandoned the instructed place. Had the Muslims placed on that hill shown strict obedience to the prophet Hazrat Muhammad (pbuh), there would not have been any defeat. We must realise the importance of the discipline when showing obedience to a prophet of Allah. To be able to see achievements/victories, one must show an example of devotion, submission and total obedience to the Elect of Allah. The truth shall triumph and the sun of Islam shall once again rise like the first time with the advent of the noble prophet (pbuh). This sun shall reach its zenith, in all its splendour like before. The heavens can delay that victory, but we, the Sahih al Islam shall have to make many efforts in the field of spirituality and make great sacrifices of wealth and leisure. Bear this in mind and do not be dejected at all. Before the victory of Islam, we must have to suffer a lot of humiliations and disgrace. The renaissance of Islam necessitates a great sacrifice from us. What is this sacrifice? It is dying in the path of Allah and His divine teachings and verily the life of Islam shall depend on that death. Recently, an Ahmadi working for the Ahmadiyya Association in Mauritius travelled to Kerala (India), spreading misleading accusations about the Divine Manifestation in Mauritius among the Ahmadis in Kerala. The calumnies thus spread had been, in its turn, deployed by the ignorant Ahmadi Mullahs in Kerala, in an attempt to deviate real seekers after truth by creating confusion on the issues involved. In his Friday Sermons of May 16 and 23, 2014 the Khalifatullah Hadhrat Munir Ahmad Azim Sahib (atba) comprehensively covered the subject matter of the present allegations by unveiling the true facts behind them, in their proper material-setting and spiritual-context. The Qur’an has preserved this recurring theme of history as a template of warning for Muslims against the arrogance of rejection of Divine Reformers. Yet, as it is mostly the case, like the Qur’an says, the true significance of the message being descended on the Divine servant among them eludes most people and they end up being among the group known for hatching plots and whispering calumnies against the Divine servant. They do their worst to extinguish the Light of Allah, through their mouths and by injecting hatred for the Divine servant, on the minds of common people. 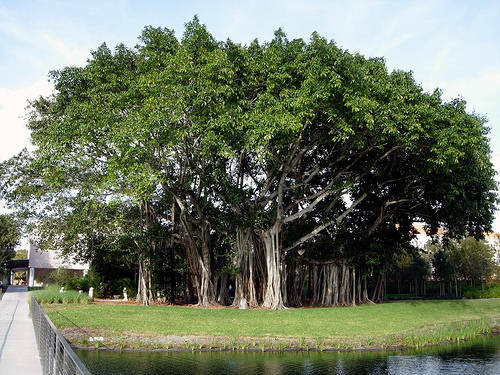 Consider the experience of the present Divine Manifestation in Mauritius. Had it not been for the fact that he is a recipient of Divine revelations and has been Divinely-entrusted with a mission of preaching Islam to one and all, the life and experiences of the Khalifatullah Hadhrat Munir Ahmad Azim Sahib (atba) of Mauritius would have been the like of his fellow countrymen, the joys and sorrows of a life lived in the present. But, time and history has other plans for him. Hence, in the last decade and beyond, ever since the advent of revelations, one could see that slanderous insults had been and continues to be, leveled against Hadhrat Sahib (atba). The storm of opposition that had broken out against the Divine Manifestation in Mauritius is truly astounding. At another level, as this Divine servant once noted, “If I had not been insulted, if there were no opposition against me, you could have doubted my claims because Allah says in the Holy Qur’an: “Alas for My servants! There comes not a Messenger to them; but they mock at him” (36:31). In the course of his Friday sermon of 23 May 2014 ~ (23 Rajab 1435 Hijri) the Khalifatullah Hadhrat Munir Ahmad Azim Sahib (atba) of Mauritius took note of, and spoke briefly on, the recently concluded general elections in India and the consequent political changes unfolding in the country. The dismal fortunes of the long ruling Nehru-Gandhi political dynasty in the elections is in line with the larger global trend of popular anger against abuse of power and the cancer of corruption eating into the vitals of the polity and impacting on people's everyday lives. The extraordinary popular mandate for the leadership of Narendra Mody and his Bharatiya Janata Party, the right-wing, Hindu party in the country, presents him with an uncommon opportunity to serve the nation and the world. The Khalifatullah (atba) and the Jamaat Ul Sahih Al Islam International, including the national branches of the Jamaat in India, wish all success for Narendra Modi in his great responsibility as the Prime Minister-elect of India. Before ending, I would like to say some words on the recent parliamentary elections in India which have been those of all records. ( Inset: A polling officer (R) helps a woman to cast her vote at a polling station in Majuli, a large river island in the Brahmaputra river, Jorhat district, in the northeastern Indian state of Assam April 7, 2014. (REUTERS/Adnan Abidi). 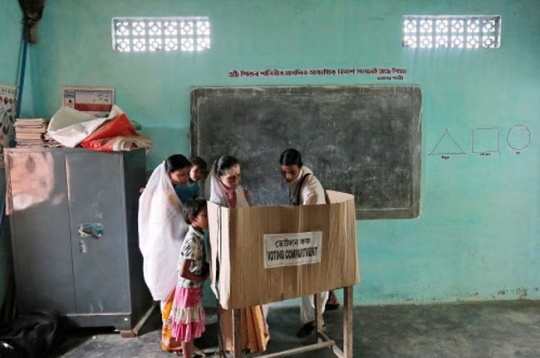 Spread over a period of Five weeks, the world's largest general elections took place in India during April-May 2014, with over 600 million citizens eventually exercising their franchise). The vote count gave its verdict and the Hindu Nationalist Party of Narendra Modi celebrated a crushing victory while the Congress party was severely beaten. The Hindu Nationalist Party of Narendra Modi is promising a “new era” based on the boosting of the economy after ten years of having the Congress Party in power. 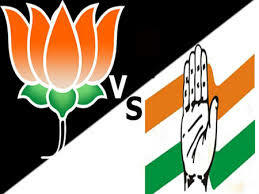 This triumph of the Bharatiya Janata Party (BJP) reshapes the Indian political landscape, transforming the Hindu Nationalist Party in national political power at the expense of the Congress Party of Gandhi-Nehru dynasty which has been reduced to the bare; this being a hard blow to such a Party which was used to leading the country. But the BJP leader is viewed with suspicion by the Muslim minority since the 2002 riots in Gujarat. Opposed to the BJP, the Congress party comes out of these elections worn out after ten years of power, scandals, corruption and they have been punished (by the people) for their repeated incapability to revive growth and curb inflation. It has quickly recognized its defeat and this could be the most scathing one in its history. The Gandhi-Nehru dynasty in India faces a fight for survival after an electoral drubbing at the hands of the opposition leader Narendra Modi. In this century many dynasties are disappearing, Insha-Allah, be it at political level as well as at religious (spiritual) level (especially those who take themselves as the heirs of the religious power, as if they are glued to their seats of power, and they think nobody can get them out from there. They forgot that there is a Creator of the universe who holds absolute power. He does what He wills and He replaces what (or whomever) He wants. In a historic Friday Sermon delivered at Abu Dhabi, UAE on 09 May 2014- (09 Rajab 1435 AH), the Muhyi-ud-Din, Khalifatullah Hadhrat Munir Ahmad Azim Sahib (atba) of Mauritius spoke profoundly and feelingly on the dismal state of spirituality among the Muslims in our times. Notwithstanding apaprent signs of religiousity among the masses, the kernel of faith has slipped out of their minds and every day lives and the Ummah of the Holy Prophet (sa), in the pursuit of material interests, gropes in the wilderness of synthetic pleasures. To rejuvenate the common Muslims and thereby, reclaim Islam through providing a living, practical, contemporary model in our times, Allah (twa) has raised His servant and blessed him with His revelations and messages. Conveying this message of hope and the glad tiding of Divine Blessings to an audience that included many Arab Muslims who were listening to his words directly for the first time, Hadhrat Sahib (atba) cautioned them against hasty rejection and counselled for considered reflection on the Sermon. O you, who are present here today, listen to my words. It is inconceivable that God could have bestowed His trust to whoever spreads his nets to lure His creatures, which makes them go astray instead of guiding them, who is an enemy of Islam firmly decided to ruin it, who never made the face of Islam sparkle with the light of truth, who never spent his nights or days in the remembrance of Islam and never made ​​an effort to revive it, one who, on the contrary with his lies would add to the already accumulated dirt in the minds of men who, by falsehoods, would have raised the dust of controversy among Muslims. No, what is certain is that God always humiliates and crushes such impostors and ranks them among the cursed. Since long, I receive revelations but I did not told anyone then and it was only when I was directly ordered to announce it that I comply with the order. Therefore, my mission is to eradicate the evils and errors; I must also fight against injustice and properly guide the righteous, while the impure and the proud who stand on the sidelines; they will be crushed by the strength of divine arguments. 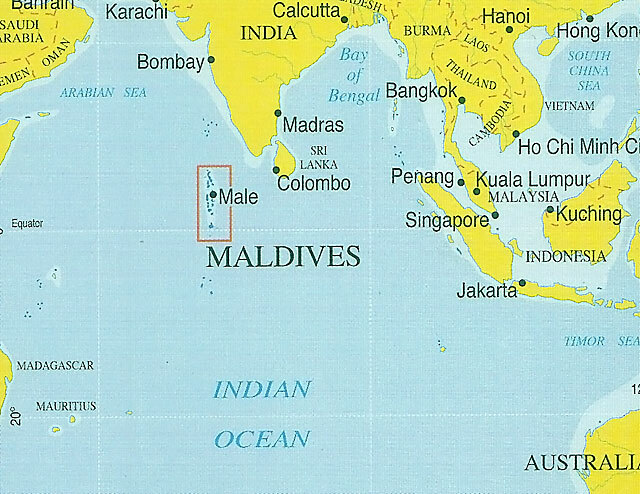 As part of his recent transnational Dawa Mission, the Khalifatullah Hadhrat Munir Ahmad Azim Sahib (atba) of Mauritius journeyed across the Indian Ocean to the island-states of Sri Lanka and Maldives in South Asia, and also to the coastal state of United Arab Emirates (UAE) in the Persian Gulf, in April-May 2014. As we have already documented Hadhrat Sahib’s visit to Sri Lanka and also the historic Friday Sermon in the Maldives delivered during this period, the present report focuses on the visit to Dubai and Abu Dhabi. (To read the previous articles in the series, click here: 1, 2). 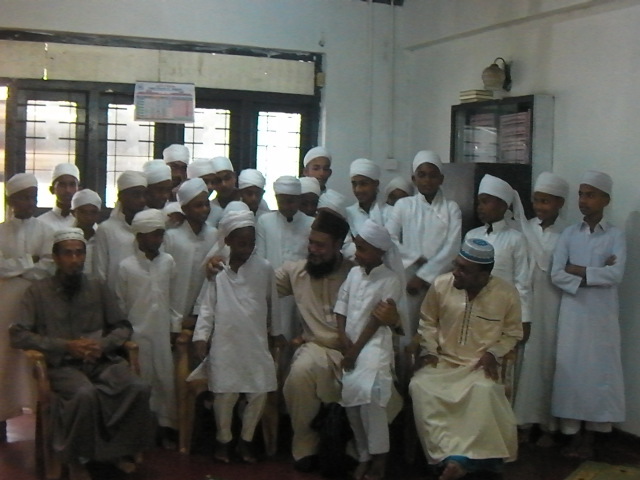 After setting his feet on the UAE lands, Hadhrat Sahib (atba) started the Dawa mission with the immigrant workers in the country- people of the Pakistani and Indian origin- Kerala, Kashmir, Peshawar and also of Bangladesh origin and the other parts of the world are employed in large numbers in the city-states of UAE. The most fantastic events which happened in both the Arab countries-Dubai and Abu Dhabi- are that the Arabs listened with great attention to the message of the advent of a Khalifatullah in this era, someone who has come from Allah to revive Islam in its authenticity, to continue the great mission of our beloved prophet Muhammad (sa). At another level, Hadhrat Sahib (atba), as the Divine servant of our times, was redeeming the pious wish and great hope of the Promised Massih Hadhrat Ahmad (as) to take the message of Islam to the corners of the world, especially to the peoples and nations that follow beliefs other than Islam, and also to renew the Muslims who, in their own individual and social journeys of life, have fallen away from the essence of the spirit and richness of the religion of Allah. In a Speech made at Colombo, Sri Lanka on Tuesday, 29 April 2014, the Khalifatullah (atba) spoke about the sublime and extraordinary legacy of the Holy Prophet of Islam (sa) whose Divine Mission was specially blessed by time and history. He spoke profoundly on the strategies of preservation Allah (twa) Himself brought about in the fullness of time whereby the essential Message of Islam remained among the people long after the great Arabian Prophet who lived over a millennium ago, left from the gladiator of history. While all other Messengers before him spoke in tongues that lost their vitality and died in the march of history, the language of Arabic- the tongue of the Qur’an- surged ahead and embraced new lands and peoples and became the vehicle for the flowering of culture and civilization in the medieval age, and also in our own times, it retains its vitality as one of the transnational languages, as recognized by the UN systems as well. While the ideational influences of the Islamic world appealed to the hearts and minds of other peoples who came under its magical spell of sublime spirituality, the old Messages in other belief systems got mythicized and reduced into fantastic legends. Moreover, the Khalifatullah (atba) pointed attention to the Qur’anic arrangement of spiritual renewal of Islam in every age. 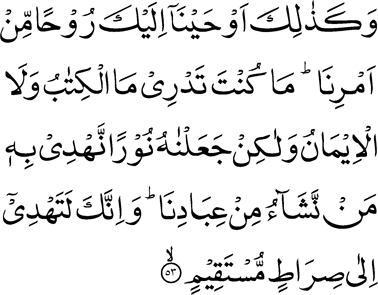 It is a binding commitment of the Creator of the Qur’an, to preserve the spirit of Islam. And the raising of Divine Reformers in every century is, as the Promised Massih (as) pointed out in the last century, the profound method through which the spiritual preservation and renewal of Islam take place. Such renewal of faith is only through the practical, living example of a Divine soul, who is raised to lead his earthily life in the very midst of his own people. While acknowledging that he belongs to the larger chain of such Divinely-raised souls, the Khalifatullah (atba) calls the attention of one and all to struggle with their own souls to understand the larger purpose of life and to attach themselves to the narrow and straight path of true spirituality. “Ya Massih-e-Maoud-Al-Rassool-e-Nabiullah, Munir Ahmad Azim, tamannaé kawno makan..." (O Promised Messiah, Messenger and Prophet of Allah Munir Ahmad Azim, the universe as a whole desires to inherit your love). 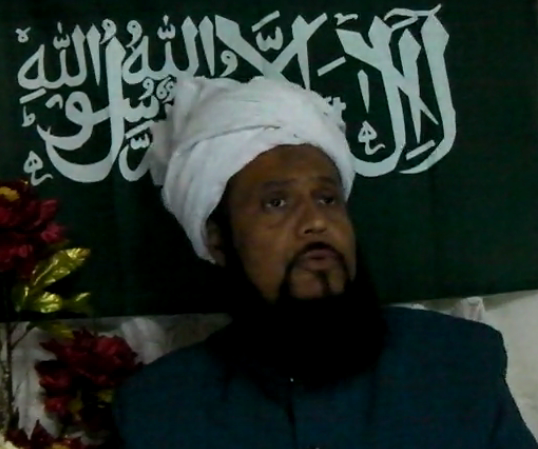 Hadhrat Munir Ahmad Azim Sahib (atba) of Mauritius, the Muhyi-ud-Din and Khalifatullah of this era and the founder of Jamaat Ul Sahih Al Islam International, just completed a highly successful, three-nation- Sri Lanka, Maldives and the United Arab Emirates (Dubai & Abu Dhabi) Dawa Mission, which was undertaken in accordance with Divine inspiration and direction. The presence and effective preaching of the Khalifatullah in these different countries has been specially blessed by Allah the Most High, leading to the acceptance of Bai’at of new members and the official Registration of the Jamaat’s chapters with the respective national authorities. The Tabligh journeys of the Khalifatullah also provided extraordinary opportunities for other peoples in these countries to listen to the sublime message of Islam and its practical ordinances, as being expounded through Divine Revelations vouchsafed to the Muhyi-ud-Din of our times. While still on this international Dawa Mission, Hadhrat Munir Ahmad Azim Sahib (atba) made a historic Friday Sermon from the island-state of Maldives on May 02, 2014. Reflecting on the different religious systems and practices still existent in diverse parts of the world, the Khalifatullah expounds profoundly on the Qur'anic norms to assess the complex situation produced by human imaginations and extrapolations on prisitne teachings of world's religions. As the Divinely-raised Muhyi-ud-Din of this era, Hadhrat Sahib (atba) explains his lofty spiritual mission and invites the people to join him in the collective project of global reform through adhering to the Islamic teachings on personal and social transformation. A question that currently arises is: if all religions were in fact founded by messengers from God, then why is there any difference in their teaching? Can the same God send down different teachings? Say that the “Roohul Quds” (Holy Spirit) has brought the Revelation with the Truth step by step from your Lord, to strengthen the believers and as guidance and good news to the devout Muslims” (16: 103). A recipient of Divine revelations and other inspirations and spiritual visions bring with him, with the help of the Roohul Quds, an abundance of Divine communications and spiritual messages. Such messages from the Unseen may contain glad tidings foretelling the brilliant destiny awaiting a people. It can also include clear warnings about the potential dangers ahead in their collective lives, both mundane and spiritual. That is why devout Muslims- those who wholeheartedly submit to the Will and Decree of the Almighty Allah, at all times- consider revelations and inspirations as a great bounty and special blessings of the Almighty. These fortunate believers, whose hearts open up to recognize, accept the Divine Message of the times, walk along, in the narrow and straight path of the Divine, being guided and hand held by that servant of Allah the Most High, in their spiritual journey of a lifetime. Hence, the presence of a recipient of Divine revelations is the very embodiment of Divine mercy for the community of believers. 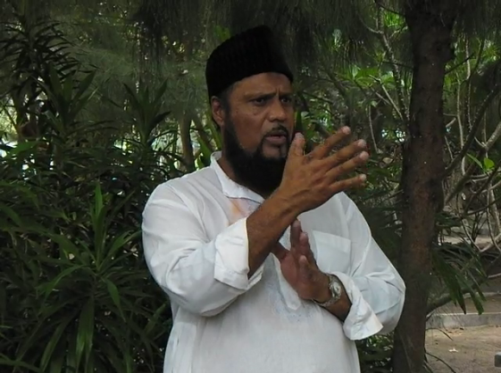 Consider the experience of the Divinely-raised Muhyi-ud-Din Hadhrat Munir Ahmad Azim Sahib (atba) of Mauritius, the servant of Allah in our times. As we have noted in previous articles in the Blog, Hadhrat Sahib is a born-soldier of Islam, having had with him from a relatively very young age of his blessed life, an abiding interest in religious matters and an intuitive understanding of effective preaching and an exceptional drive to spread further and further the true message of Islam for all of humanity. 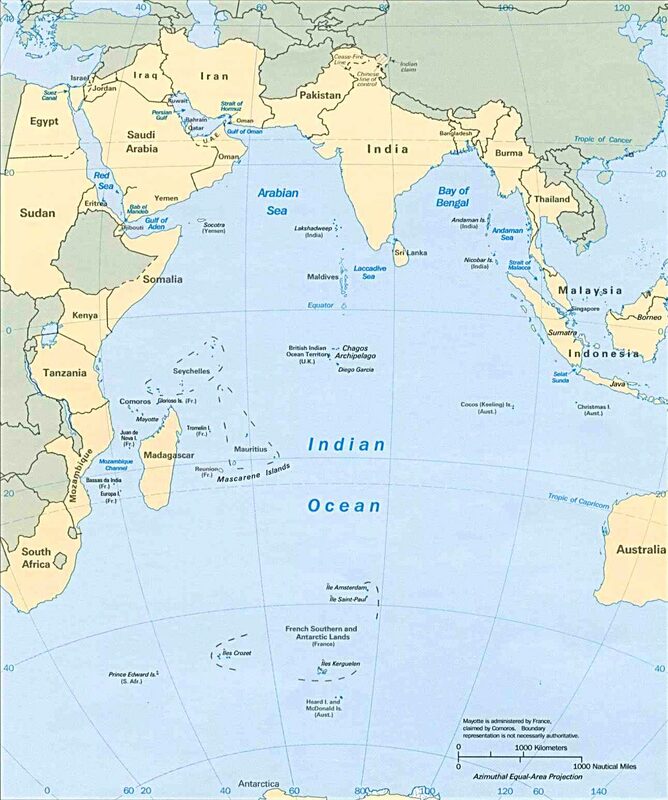 Years before the Divine Call, as a devout Daai-e-Ilallah, Munir Ahmad Azim Sahib was the ambassador of the Promised Massih (as) to the several communities and peoples of the Indian Ocean island-states, including Reunion Island (1990), Mayotte (1997) and Seychelles (2000), helping to establish the Jamaat-e-Ahmadiyya in these distant lands. Through his fervent prayers and the Divine Grace over his ardent preaching efforts, hundreds of people in these lands got the opportunity to recognize the sublime path of true Islam. 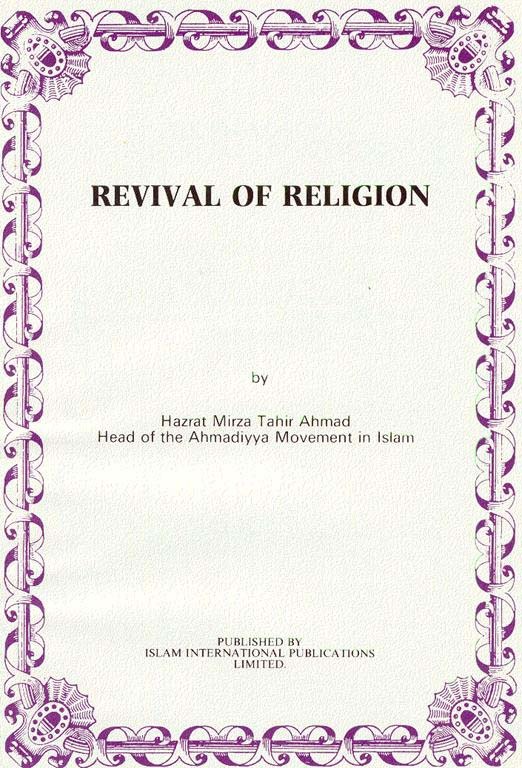 Indeed, in the annals of Jamaat-e-Ahmadiyya, the extraordinary services rendered by this humble servant of Islam to the mission of the Promised Massih (as) had been recorded by the Fourth Khalifa Hadhrat Mirza Tahir Ahmad Sahib himself. Even more importantly, Allah (twa) showed His deep appreciation and profound satisfaction for the sincere and earnest efforts, when Allah (swa) took him under His wing of Mercy and blessed him with an abundance of Divine communications and spiritual messages, to a level and scale unheard of in the history of Islam since the times of the Promised Massih (as). If the solitude of the Arabian desert provided the perfect setting for the revelation-centered, Divine mission of the Holy Prophet of Islam (sa), the waves of the Indian Ocean will forever bear witness to the preaching of this Divine Elect, Insha Allah. (For an account about the family background and early life of Hadhrat Sahib, click here: 1, 2, 3, 4, 5, 6, 7, 8, 9, 10 ). For the benefit of our readers, we have assembled here, a few of the Divine revelations and other Divine Messages vouchsafed to the Khalifatullah Hadhrat Munir Ahmad Azim Sahib Sahib (atba) over the years. While the list of revelations and messages presented here are by no means exhaustive or even comprehensive, these are certainly illustrative of the Divine communications vouchsafed to Hadhrat Sahib (atba) in the last decade and beyond. We understand that many other messages are to be unveiled and these are awaiting to be codified together, in the fullness of time, Insha Allah, Aameen. The revelations mentioned here are those that are available over the official website, one could read many of them in the archives of the Friday Sermons delivered over the last decade or so. La Maqsooda Illallah, meaning there is no destination but Allah. That is to say: "He who knows his self knows his Lord". "If you become solely Mine, indeed the whole world shall come to be thine". "O My Servant, Your Boss is a good payer, with the price of your labour, you shall receive eternity". “The perfect mind comprehends not imperfection. The mind comprehends not the Purpose Divine. “Fasbir sabran Jameela”, meaning, “Show beautiful patience”. (In the year, 2000). "Even if the world leaves you tomorrow, but Allah is with you, ALL is with you, but if the world is with you, and Allah is not with you, nothing is with you." “Stand up and warn, And your Lord do you magnify, And your clothes do you purify, And uncleanliness do you shun, And bestow not favours seeking to get more in return, And for the sake of your Lord, do you endure trials patiently”. “Convey what has been revealed to you from your Lord; and if you do it not, you have not conveyed His Message. And Allah will protect you from men”. "You are the Mohyuddin of this era"
“O Mohyiuddin, arise and create a new world! "O descendant of Deen-e-Islam each time that in some place in the Universe religion declines and irreligion advances, I send someone with the Rou-hil-Qoudouss". O Mohyuddin! My relation to you is above all relations. Your status is indeed high. 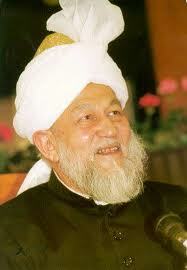 “O Khalifatullah, Muhyi-ud-Din, My beloved Munir Azim, arise and create a new world”. “The teachings of the Promised Messiah have been trampled to dust”. 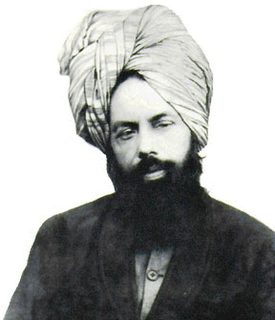 “The teachings of the Promised Messiah have been trampled to dust…. They give khilafat more importance than My divine words (Holy Quran), the Sunnah of the Holy Prophet Muhammad (sa) and the teachings of the second Issa (the Promised Messiah)”. “I will humiliate he who tries to humiliate you”. “We will punish them from where they expect not”. ‘Look how they strike for you comparisons; but they have strayed, so there is no way out for them”. Those who argue concerning Allah after He has been responded to – their argument is invalid with their Lord, and upon them is (His) wrath, and for them is a severe punishment. “Laa takhaf innaka antal-a’alaa” – Fear not, for you shall have the upper hand. Falaa tahinuu wa tad-‘uuu ‘ilas-salmi wa ‘antumul-‘a’-lawna wallaahu ma-‘akum wa layy-yatirakum ‘a’-maalakum. Wa-adallaahul Jamaat Ul Sahih Al Islam huwal fawzul Aziim. Allah has promised the Jamaat Ul Sahih Al Islam the Grand Victory. “The state of the world is such that it shall witness all the more calamities, destructions which shall be a lesson for them for their disobedience to the divine commands. They have turned away from My worship. Haiti is in serious condition, and so will be other countries because these people have left My worship to grip the dirt of this world. Remember O Khalifatullah what I had told you so many times: Destructions, destructions, destructions – rivers of blood will follow, and widows shall weep and tears will be of no avail. No man in the power of man can stop Allah’s design. 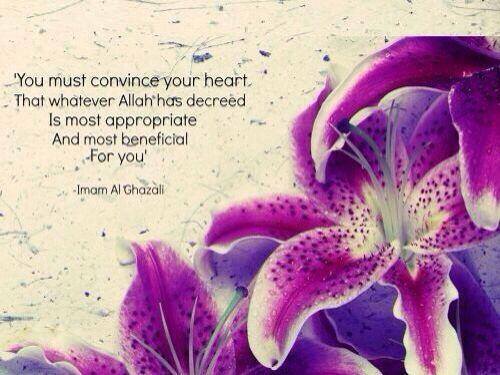 What Allah has decreed shall come. (Revelation; – in bold – reappeared 8 times at 12.05pm on 20 January 2010). O Mohyuddin! Tell your people, be courageous; my disciple, be cheerful and sing in ecstasy. You are among the one who acknowledge this saying. “For me, of course, all of you are my spiritual children, and my prayers are, accordingly, for all of you alike... So I warn you against your indulging yourselves in the worldly temptation so much as to forget your spiritual development altogether. If you really wish to share the blessings of Allah, through your accepting the manifestations and revelations, you will have also to hand over your entire selves and all your belongings to Allah and thus bring death to your temporary pleasures. 1. The more is a man’s attachment to the world, the less is he likely to attain knowledge. The less his attachment to the world, the more is the probability of his gaining knowledge. 2. If you must be mad, be it not for the things of the world. Be mad with the love of God. 3. That knowledge which purifies the mind and heart alone is true knowledge, all else is only a negation of knowledge. As soft clay easily takes an impression, but not hard stone, so also Divine Wisdom impresses itself on the heart of a devotee, but not on a bound soul. All praise to Allah and peace be upon His chosen servants. If I have chosen you, then you must listen to My Words and must do My works with love and full cooperation (with one another). Tell the: All praise be to Allah, to whom belongs all this there is on the heavens and the earth, and to whom all glory in the Hereafter. He is All-Wise, All- Aware”. “Tell them that the Creator is well informed of what they do and then, He informs His servant and the servant of Allah gives the message to you all. Nobody must have the least arrogance in his heart, because arrogance shall destroy your faith. Show humility. And all of you work together with humility. Do not hurt people’s feelings, especially those who are working for My cause; make sure to forget your own selves for the love of Allah”. “Rabbi la tazar alal arzi minal Kafiriina dayyara” – O Allah, do not leave any infidels on earth. “…No worries for the believers who are sincere in the divine manifestation, whom you pray for day and night, who are treasures who shall be known tomorrow as the carrier of the divine light. You along with these people – not the hypocrites among them – shall prosper in this life and the life to come. O Khalifatullah, verily those who ask you to pray for them, Allah has blessed them with faith. They are those in your ranks for the betterment of the future of Islam. O Beloved One, your assembly is such that I your Lord am present to bless you along with My angels. This year shall bring in its wake many blessings from Allah for you and your people. "O Munir Ahmad Azim, Mohyuddin of this ERA. Your gathering is such that not only prophets but the Holy Prophet (s.a.w) himself is present. The status of your Holy Prophet (s.a.w) is boundless. You are the perfect illustration of this fact, O Azim. Many of your followers have achieved the supreme status of "Qutb" and "Abdaal"
"... Tell these people, you have not come for propaganda or publicity or gaining disciples or devotees. I AM YOURS AND YOU ARE MINE. Where then is the need for publicity? I give not lectures but mixtures for your mental health and moral invigoration. So take my words as medicines necessary for your health..."